Nearly 5,000 students from 148 countries will receive their degrees and professional qualifications during the University of Southampton’s 2016 Graduation ceremonies over the next two weeks (13-21 July). Among those being honoured this year are the first group of Mechanical Engineering graduates to complete their degrees via the University of Southampton Malaysia Campus. The students spent the first two years of their degree programme at the EduCity@Iskandar development in Johor, Malaysia, before transferring to Southampton for a further two years of study to complete their degrees. The University will also celebrate the first students to complete undergraduate degrees in Web Science and Electrical and Electronic Engineering. John Denham (Honorary Doctor of Science) – British Labour Party politician and Southampton graduate (Chemistry, 1974) who served as Member of Parliament for Southampton Itchen (1992-2015), Secretary of State for Innovation, Universities and Skills (2007-09) and Secretary of State for Communities and Local Government (2009-10). Stefan Buczacki (Honorary Doctor of Letters) - horticultural expert, writer, broadcaster, photographer, consultant, expert witness and Southampton graduate (Botany, 1968), perhaps best known for his 12 years as panellist and chairman of Gardeners' Question Time on BBC Radio 4. Professor George Stevenson (Honorary Doctor of Science) - pioneer of cancer immunotherapy; closely associated with the University of Southampton since 1970, he is one of the first scientists to publish a paper describing the concept that the immune system could be steered towards fighting cancer. Judith Gillow, MBE (Honorary Doctor of Science) - Director of Nursing and Patient Services for University Hospital Southampton NHS Foundation Trust; supporting national and local work on improving quality of care and championing the development of clinical academic roles for nursing and health professionals. Datin Paduka Ir. Dr. Siti Hamisah Tapsir (Honorary Doctor of Science) - Deputy Director General at the Ministry of Higher Education, Malaysia, in charge of public universities, she played an integral role in the establishment of several foreign branch campuses in Malaysia, including the University of Southampton Malaysia Campus. William McKee (Honorary Doctor of Science) - Chair of the Outer London Commission, and Chair and member of the main board for the Old Oak and Park Royal Development Corporation Planning Committee. He is also Chair of the Board of Advisors of Business, Law and Art at the University of Southampton. Andrew Daldorph (Honorary Fellow) - organist, harpsichordist, pianist, composer, arranger and conductor. Southampton graduate (Music, 1993) and conductor of Exeter Chamber Choir and the East Devon Choral Society. He is also the organist for Southampton graduation ceremonies. Christopher Richards (Honorary Fellow) - Vice Chairman of Ospreys Rugby Club and Chair of the Ospreys Community Foundation. Southampton graduate (Physics, 1979). Previously mentored Enactus Southampton, the University’s world cup-winning student social enterprise society. 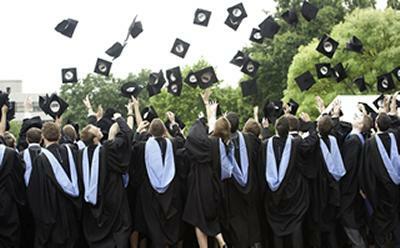 Southampton’s Graduation ceremonies will be held in the Turner Sims and the Nuffield on the University’s Highfield Campus from Wednesday 13 July to Thursday 21 July.